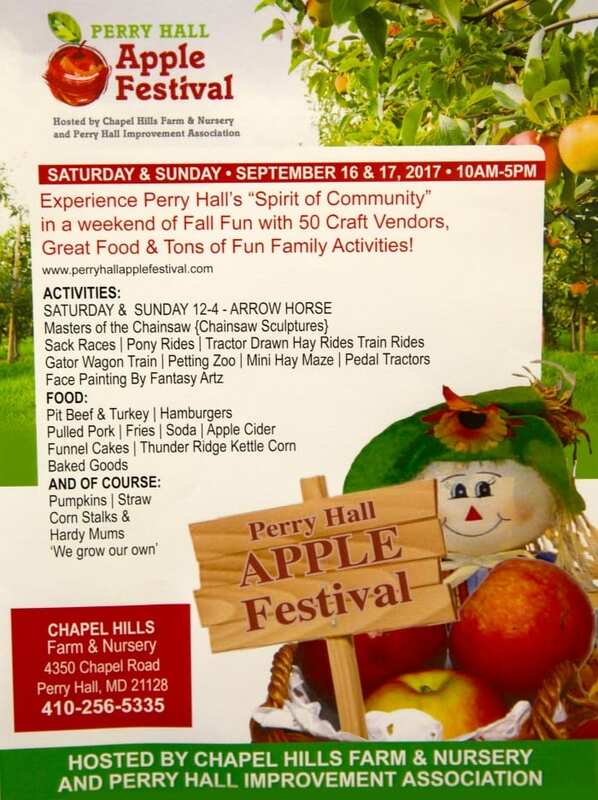 The 2017 Perry Hall Apple Festival will take place on Saturday, September 16, and Sunday, September 17, 2017. 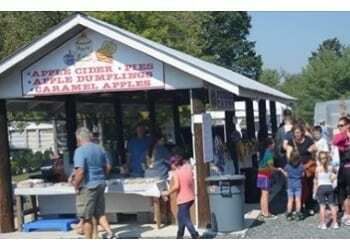 Activities will include an Amish apple butter demonstration, live bluegrass music by Arrow Horse (12-4 p.m. both day), chainsaw sculptures, face painting by Fantasy Artz, sack races, pony rides, tractor-drawn hayrides, and gator wagon train rides to the haunted woods. For more information, visit the official website here or see the event on Facebook.